Cynthia Newman, former dean of Rider University’s College of Business Administration, really loves Chick-fil-A and Jesus. In fact, the two are so entwined for her, she felt compelled to quit her job when the fast food outlet wasn’t chosen to open a franchise on campus. The university polled students and faculty to ask what chain they would like to see on campus. 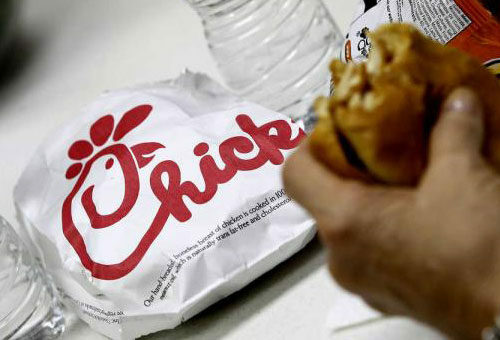 After some protest over the notoriously homophobic chicken chain’s inclusion, the school sent a separate survey that removed Chick-fil-A as an option. When the school gave employees talking points to explain their decision to exclude the chain instead of apologizing and changing their position, Newman said she knew she couldn’t stay. She said her views “mirror” the fast food chain’s. No word yet on whether or not the company has offered her a job slinging waffle fries, but she does have management experience!